I recently got back from a mini-break to Venice, a belated birthday treat from my fiancé. It’s a place I’ve always wanted to visit, mostly to see all the canals. 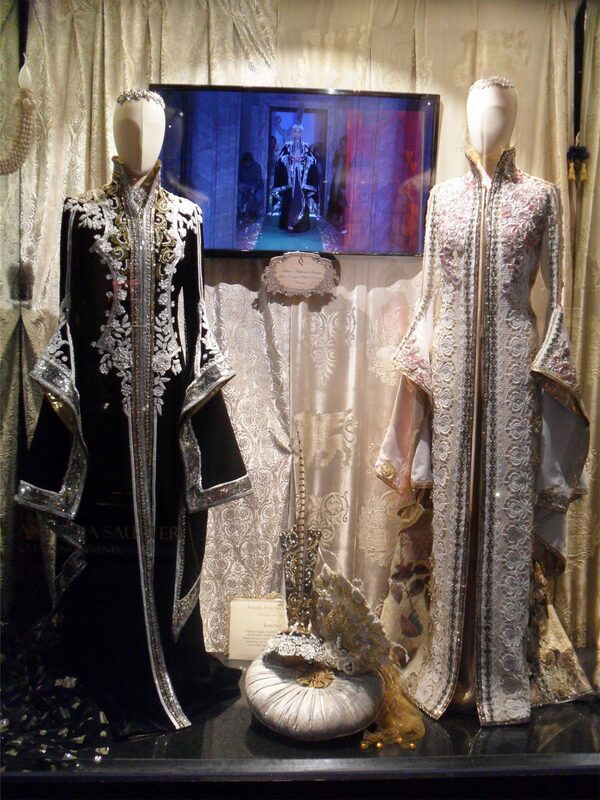 But when I found out I was going, my mind also turned to one of those other things Venice is famous for – it’s lace. But if it’s the lace you’re really interested in, then you need to head to the island of Burano. 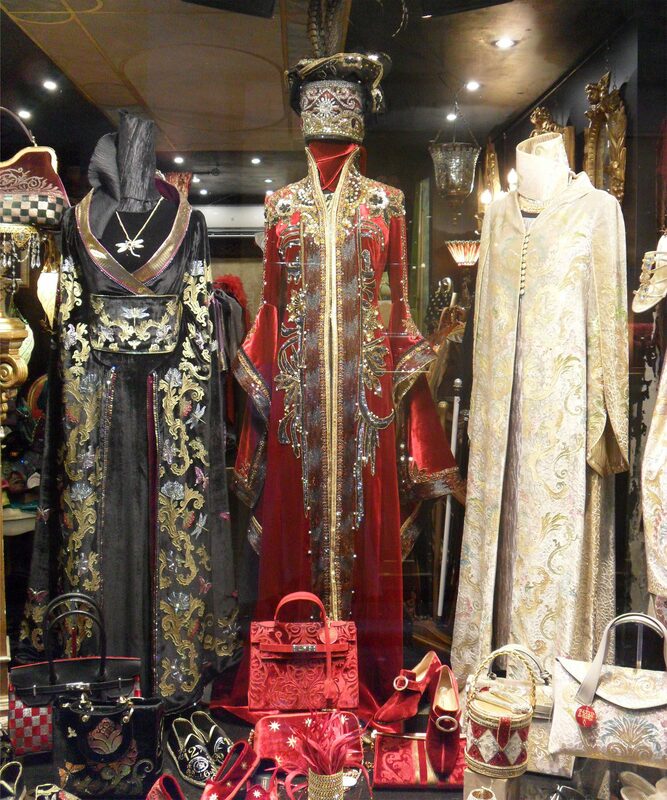 It’s home to the Venice Lace Museum, located inside what was a famous lace school from 1872 to 1970. There are also multiple lace shops here, where you can very often watch an elderly lady working on her next piece in the corner as you browse. 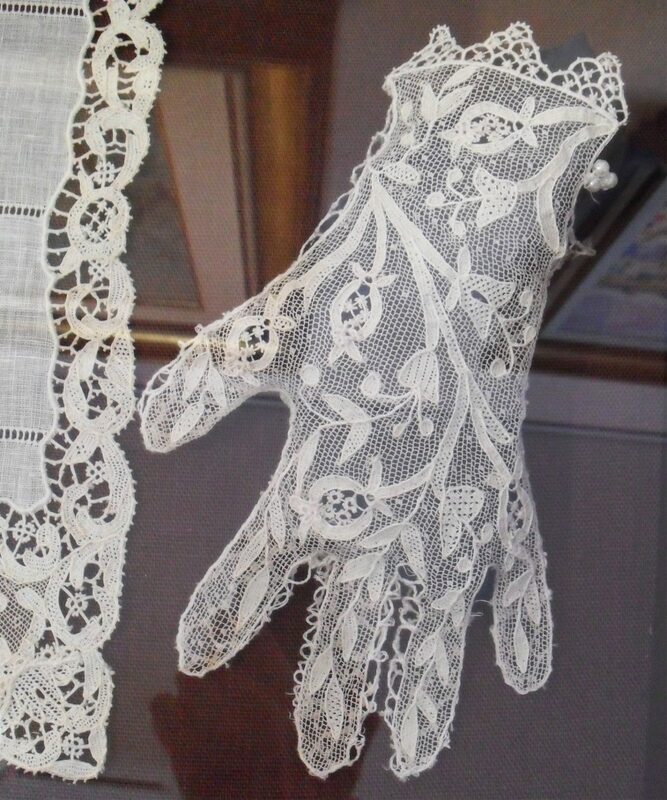 The museum is only so-so; it’s small and mostly just a collection of antique lace pieces for you to stare at. Which I’m happy to do, but I had been hoping for much more detailed information on lace-making techniques, prices, and the history of lace in general. The most fascinating part for me was a video they played at the beginning, showing a small lace motif being made from start to finish. 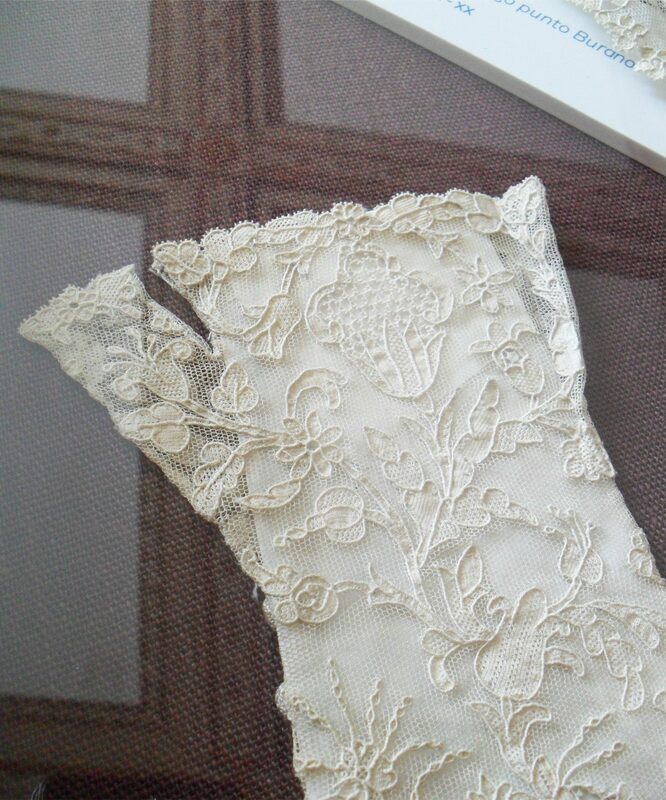 There are different ways to make lace, but the Venetian method is with a needle and thread. First a pattern is drawn onto grease-proof paper, and tacked onto a few pieces of fabric to create a stiff backing. Then the lacework is done entirely by hand, alternating between stitch types for different sections. When it’s done, the original stitches attaching it to the fabric/paper are cut away. Unlike an embroidery, which is sewn onto existing fabric, everything you see in the final lace was built up stitch by individual stitch – including the mesh background where there is one! The video didn’t say how long the motif took to complete, but in a nearby shop we were shown a roughly-10cm circle piece that was made in 20 days. 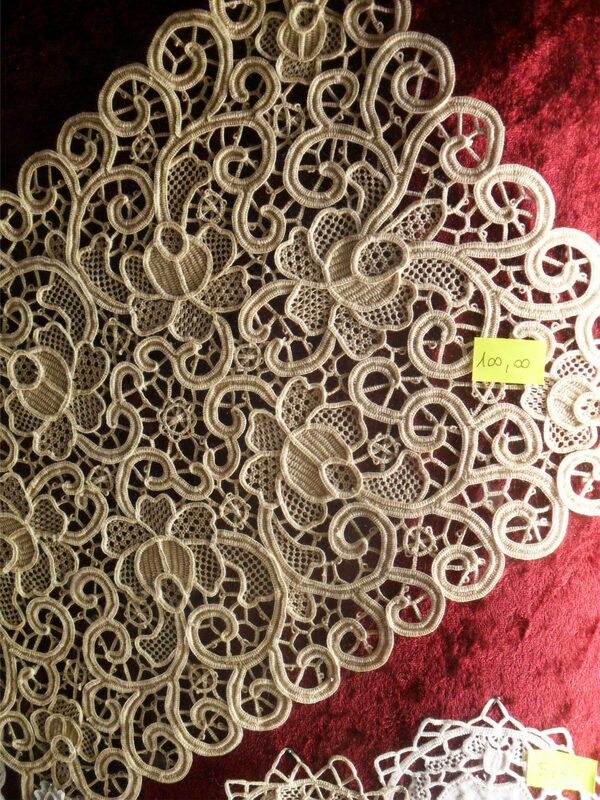 It certainly put the prices into perspective, like a beautiful lace tablecloth that we saw for 5,500€ in one boutique! Of course, me being me, I tracked down some lingerie too. This bra below is by Dalla Lidia, the oldest shop in Burano. 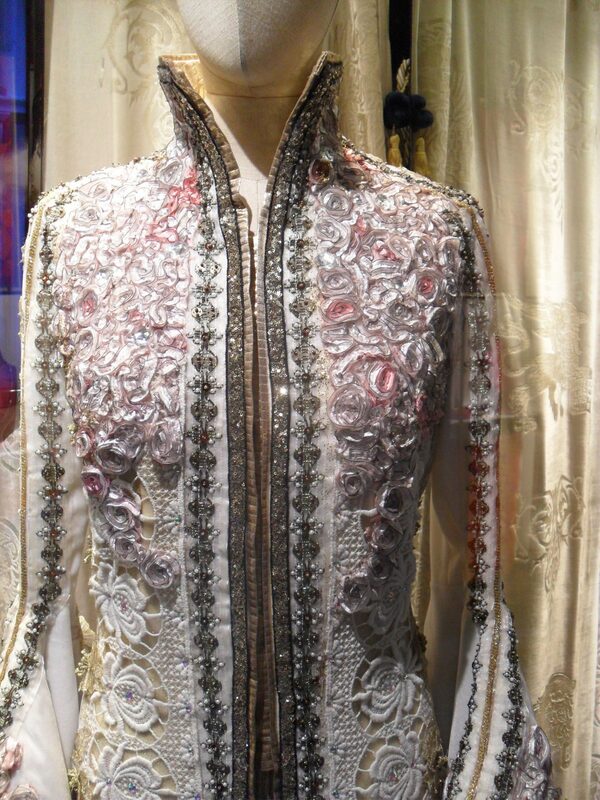 It costs 500€ (about £446 or $585), in no small part due to the Venetian lace on the cups. I asked how long it took to make and was told around 4-5 days just for the decoration. Almost a whole day is required for the gold stitching details at the centres of the flowers alone! 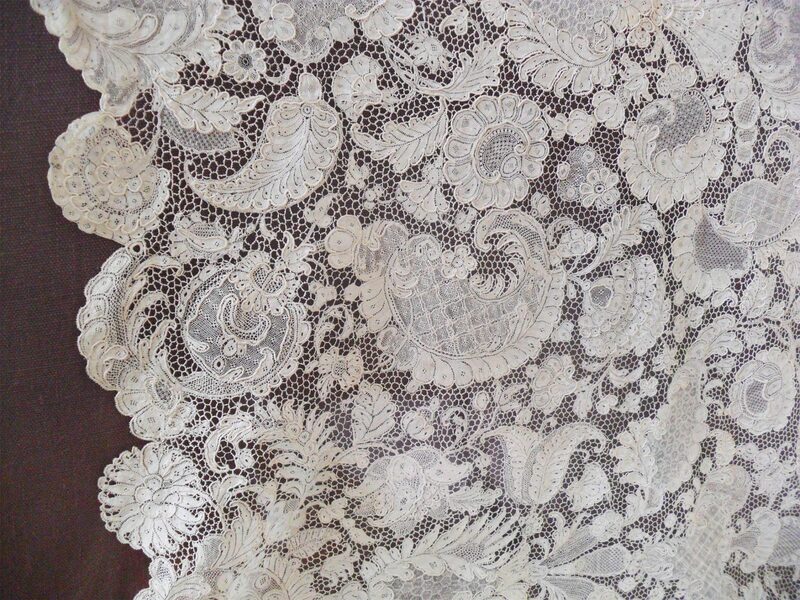 As I mentioned, back on the main island, there was very little of this Venetian lace to be found. But there was still lingerie. I stumbled across a really gorgeous-looking, high end boutique called Jade Martine. It was closed when I walked past, so I just ogled what was in the window, which included the new-to-me Italian brand Valery. The green lace Valery bra pictured below is available online from German retailer Cazar. 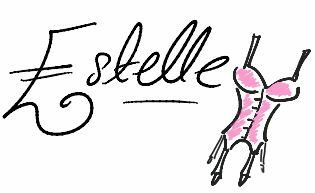 I also came across the atelier of Cristina Linassi, who creates both homewear and nightwear using fine Italian fabrics – including, of course, Venetian lace. 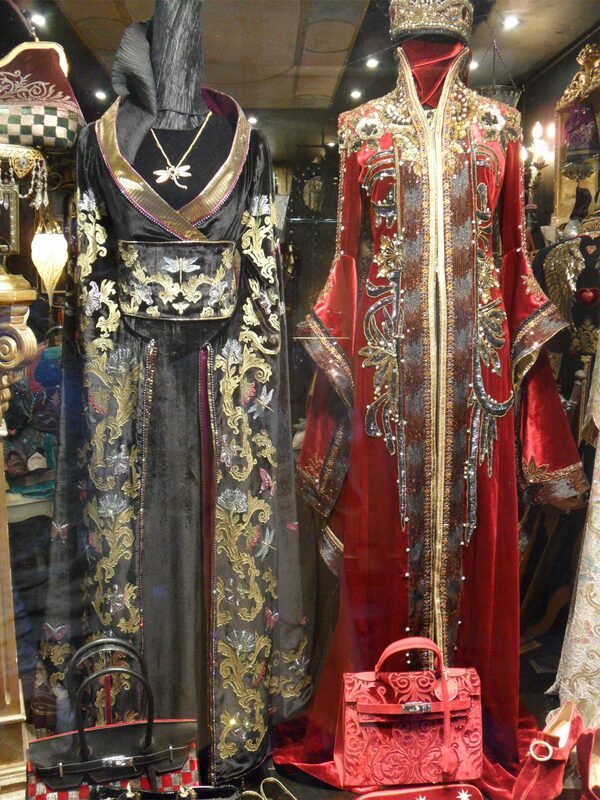 And then there was something that isn’t Venetian lace, and which I wasn’t sure even counted as lingerie/nightwear, but which I simply had to share – the Antonia Sautter boutique. 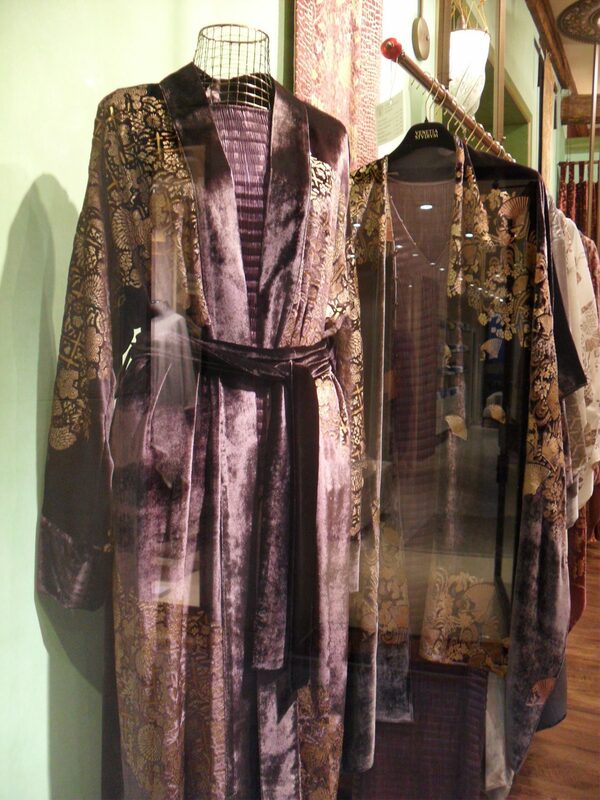 I read up about the designer after we got back, and it seems these ‘kimonos’ are designed to be worn as both loungewear and as stunning eveningwear. Which makes sense, because they are far too intricate and beautiful to not show off to the world! 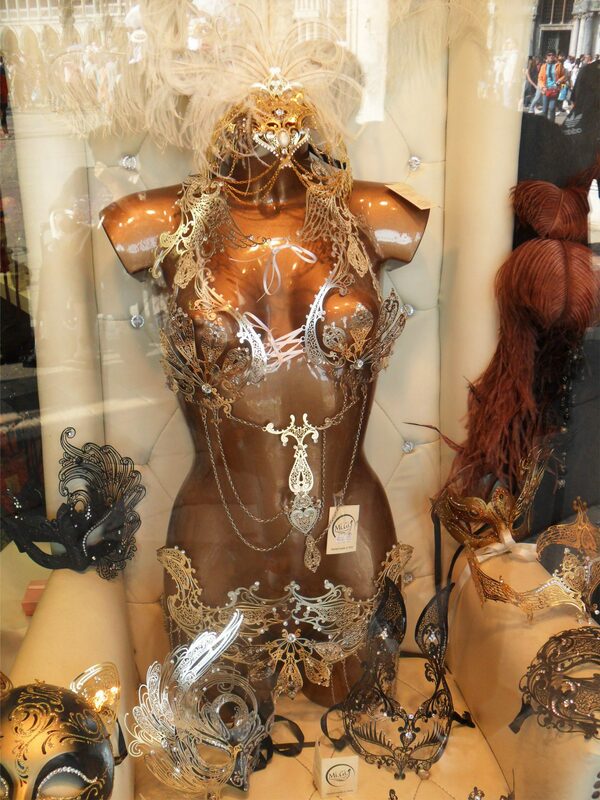 A 400€ costume in a Venetian mask shop – getting Bilquis vibes from this one! The lingerie here wasn’t really my style, but guys, I found a lingerie and sewing supplies store! Excellent combination. 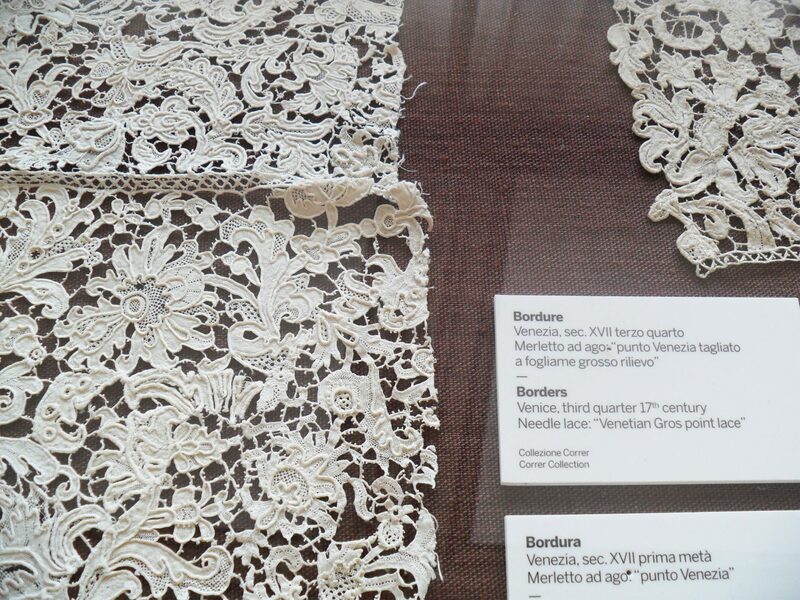 From Il Merletto Lace School shop (the best place to see lace on the main island). This piece is much less finely-detailed than most of what we saw, hence the comparatively low price. Have you ever been to Venice, or Burano? 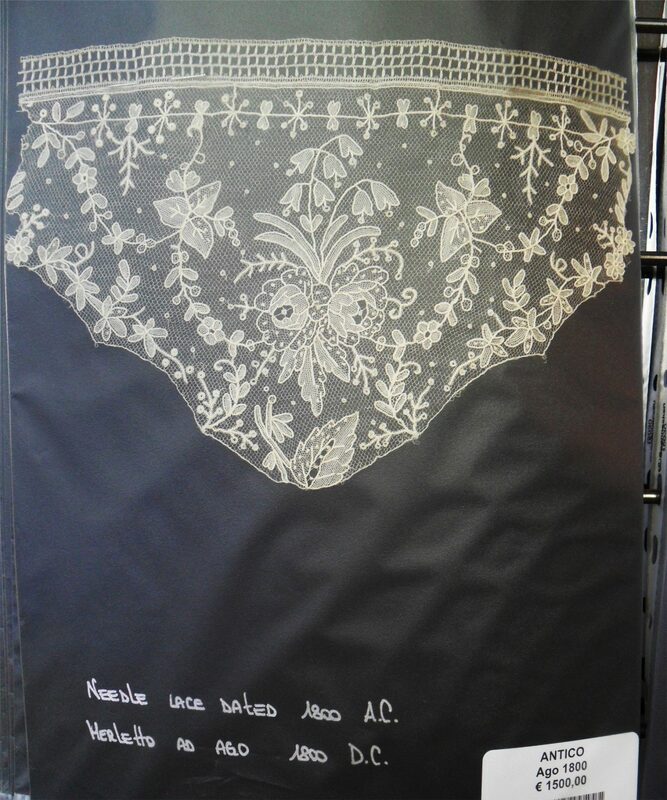 Did you realise that Venetian lace-making was such a time-intensive art? 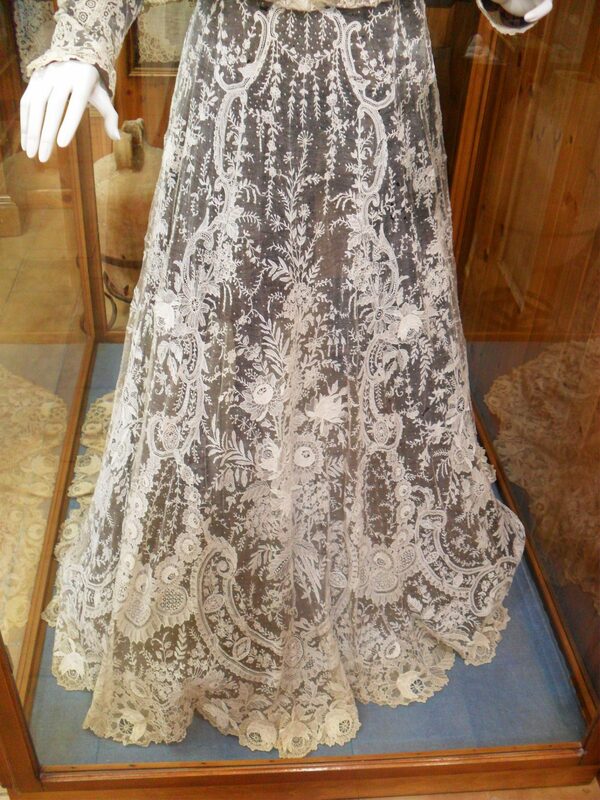 The lace on that wedding dress looks really stunning!